TEHRAN, Young Journalists Club (YJC) - In his speech about future US strategy in Afghanistan, US President Donald Trump said that Washington will pursue “integration of all instruments of American power: diplomatic, economic, and military.” This may include making peace with some elements of the Taliban and making them part of a new Afghan government. "Someday, after an effective military effort, perhaps it will be possible to have a political settlement that includes elements of the Taliban and Afghanistan, but nobody knows if or when that will ever happen," said Trump during the speech. "America will continue its support for the Afghan government and the Afghan military as they confront the Taliban in the field." Trump also said that he wanted to boost cooperation between India and the United States to fight terror in Afghanistan and elsewhere in Asia, while confronting safe harbors for the Taliban and similar organizations in countries like Pakistan. "Ultimately, it is up to the people of Afghanistan to take ownership of their future, to govern their society, and to achieve an everlasting peace. We are a partner and a friend, but we will not dictate to the Afghan people how to live or how to govern their own complex society. We are not nation building again. We are killing terrorists." The United States entered Afghanistan in 2001 to pursue the Taliban, who planned and executed the September 11 terrorist attack that killed about 3,000 Americans. 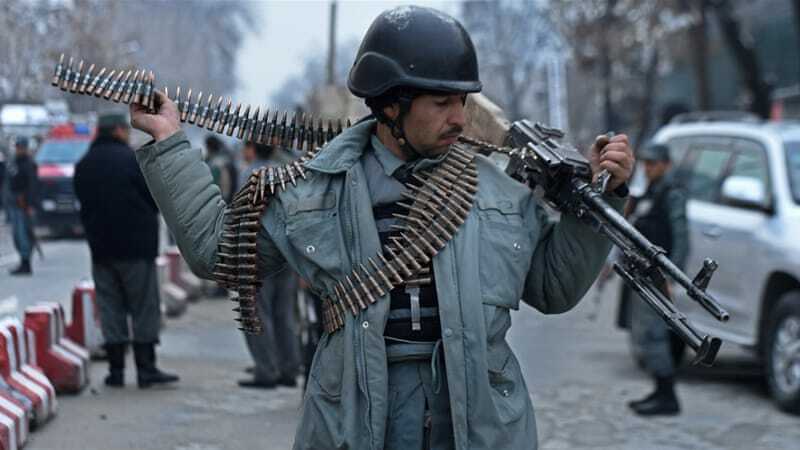 The US estimates that they have killed about 25,000 Taliban militants since the war began.